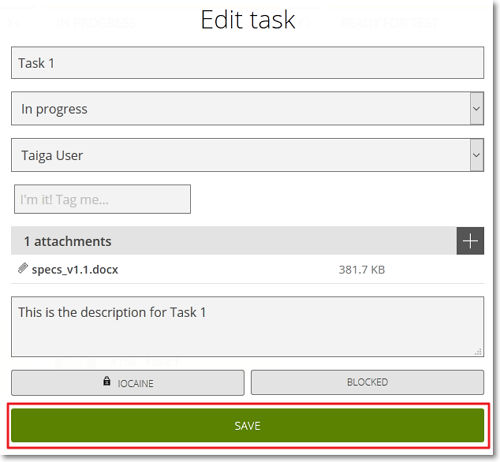 You can use the New task form to add a new Task and the Edit task form to edit an existing Task. Note: To delete any file you have previously attached, in the attachments area, position your pointer over that file and then, on the right side of the file’s size, click . 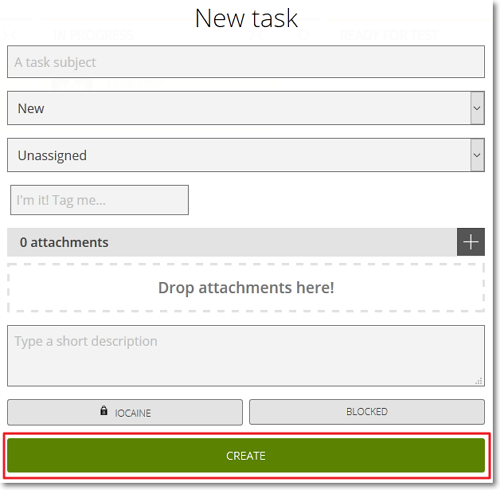 You can later view and manage the attachments of a Task from its details page – for more details, you can go to Task attachments. After you set up the new Task on the New task form, click CREATE to save it – on the KANBAN chart displayed on TASKBOARD page, the new Task is added on the column that represents the Status you selected on the New task form, on the row of the User Story to which it belongs. After you edit a Task on the Edit task form, click SAVE to save any changes you make.